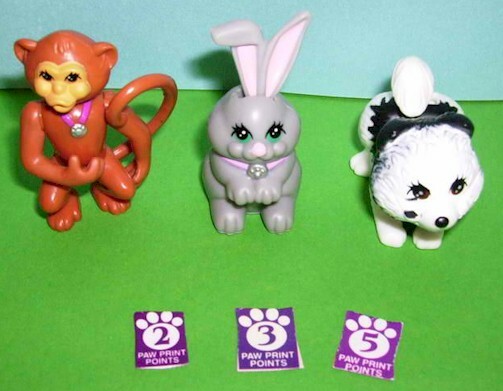 Although five different Mail Order Pets were advertised, collectors seem to have only received three of them: the monkey, the gray bunny, and the black & white dog (the turtle and the gray dog were most likely unproduced prototypes). 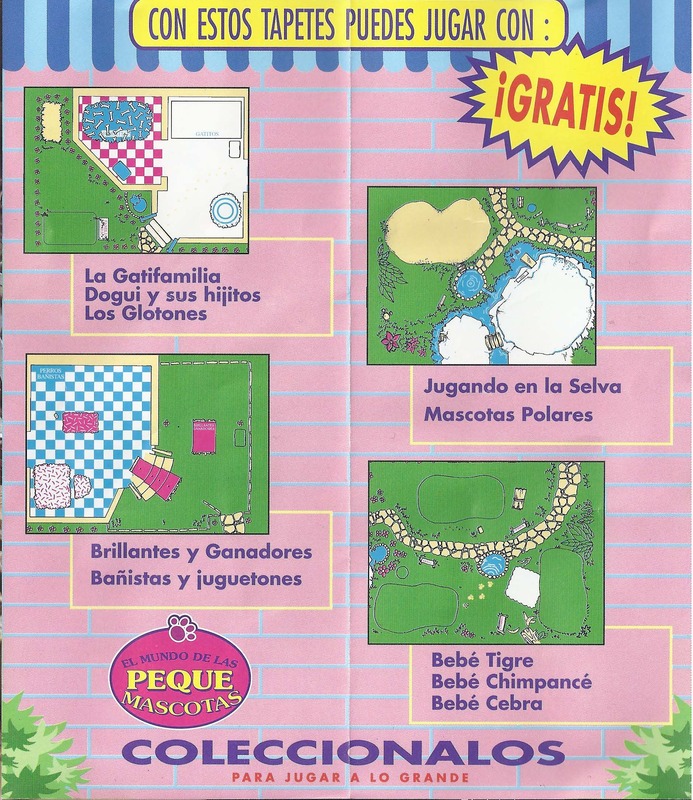 A tan monkey was featured in the advertisement, though it was rarely sent out; most collectors who received a monkey found that it was identical to the brown monkey with magenta collar in 1992's Magic Monkeys set. 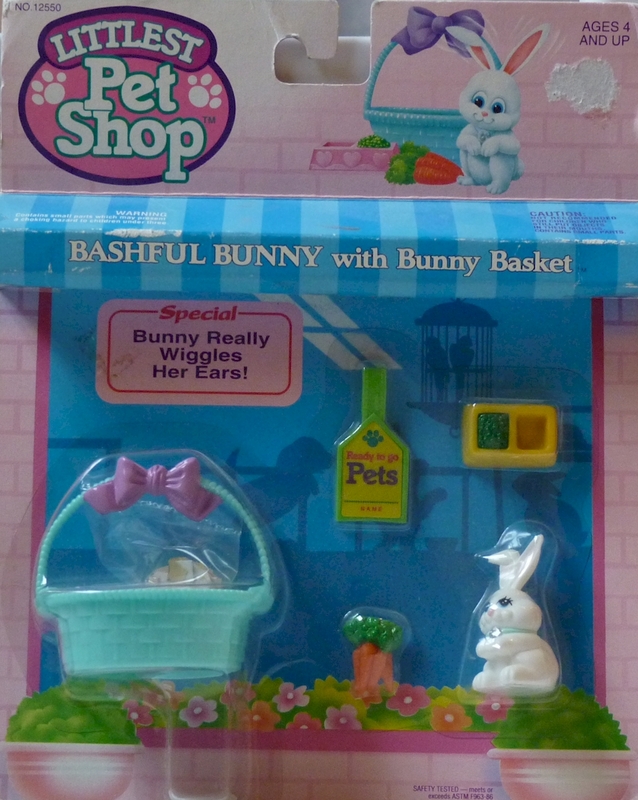 The gray bunny and black & white puppy seem to be the most commonly received Mail Order Pets. 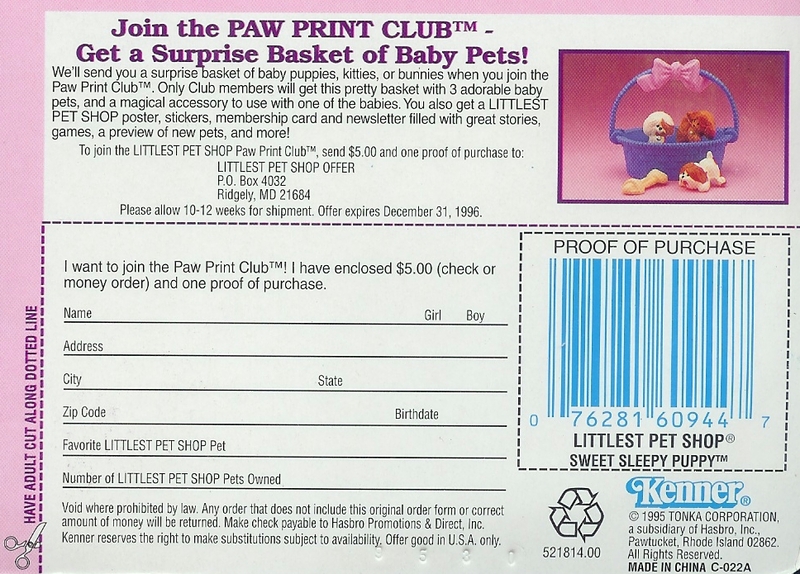 Strangely enough, LPS collector Lati received the calico cat from 1993's Charming Kittens set when she sent in her Mail Order Pets offer materials. 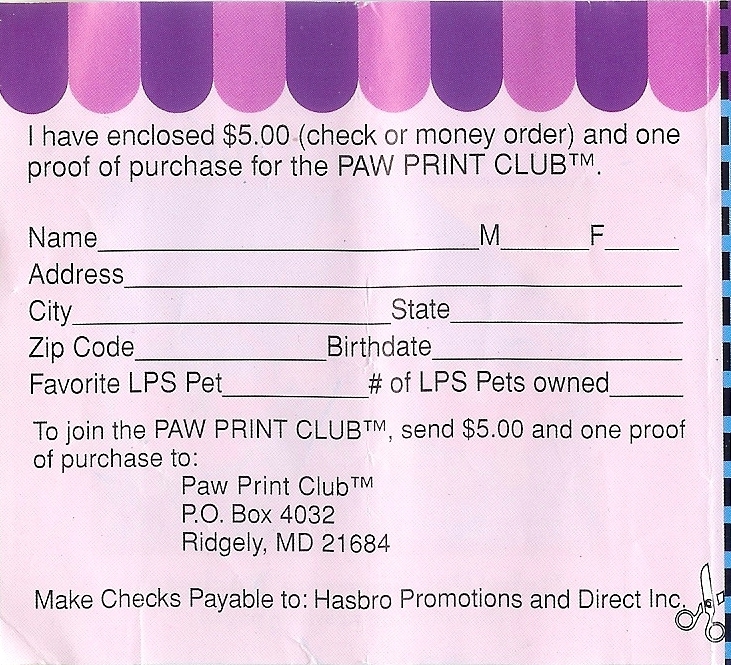 She shares this interesting memory: "I really really wanted all 5, so even though the offer said you could only get 3, I sent in a ton more proofs of purchase and paw print points than they required, and wrote a letter asking if they would please send me all 5 pets. 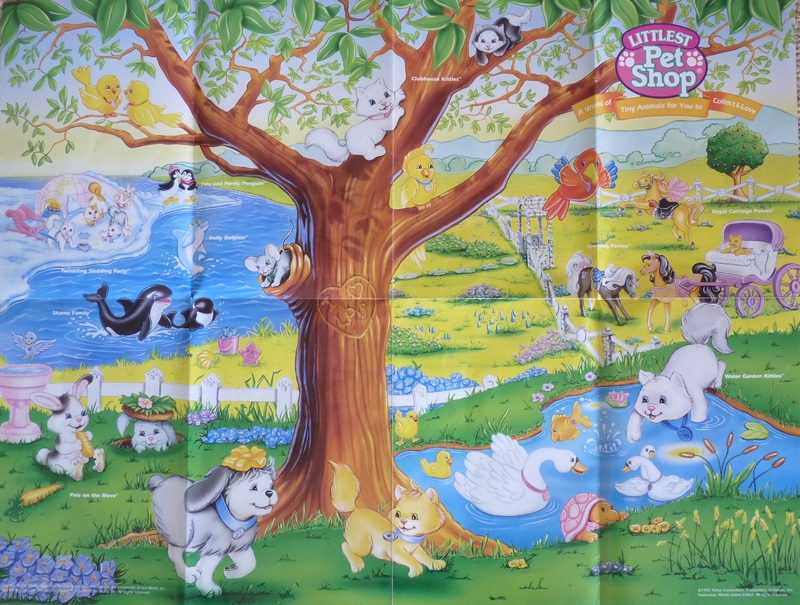 They actually DID send me 5: The black and white dog, the brown monkey (not the tan one), 2 of the grey bunnies (I gave one to my best friend), and, oddest of all, the calico kitty from the charming kittens set. 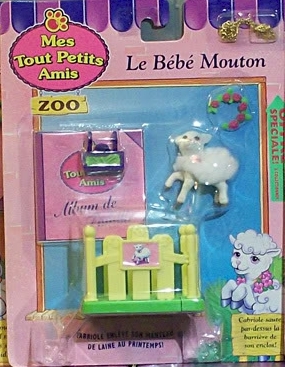 I didn't realize how weird and cool that was at the time!" 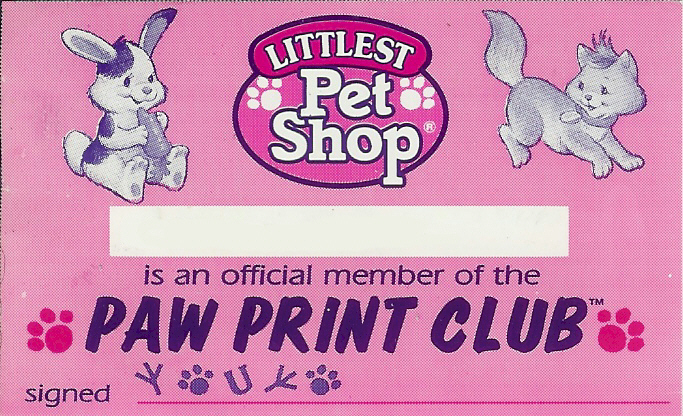 Get LITTLEST PET SHOP Pets when you collect "Paw Print Points" from the package backs. 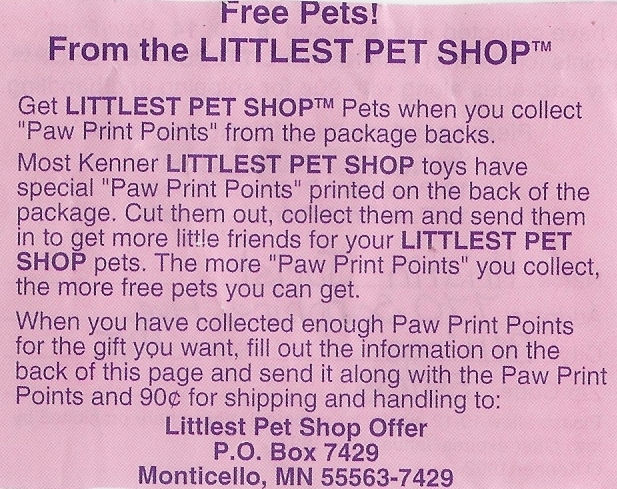 Most Kenner LITTLEST PET SHOP toys have special "Paw Print Points" printed on the back of the package. 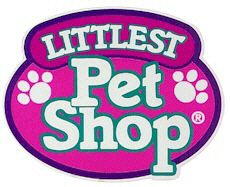 Cut them out, collect them and send them in to get more little friends for your LITTLEST PET SHOP pets. 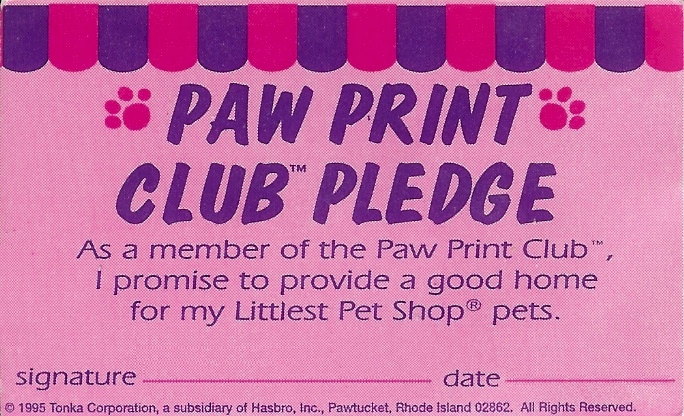 The more "Paw Print Points" you collect, the more free pets you can get. 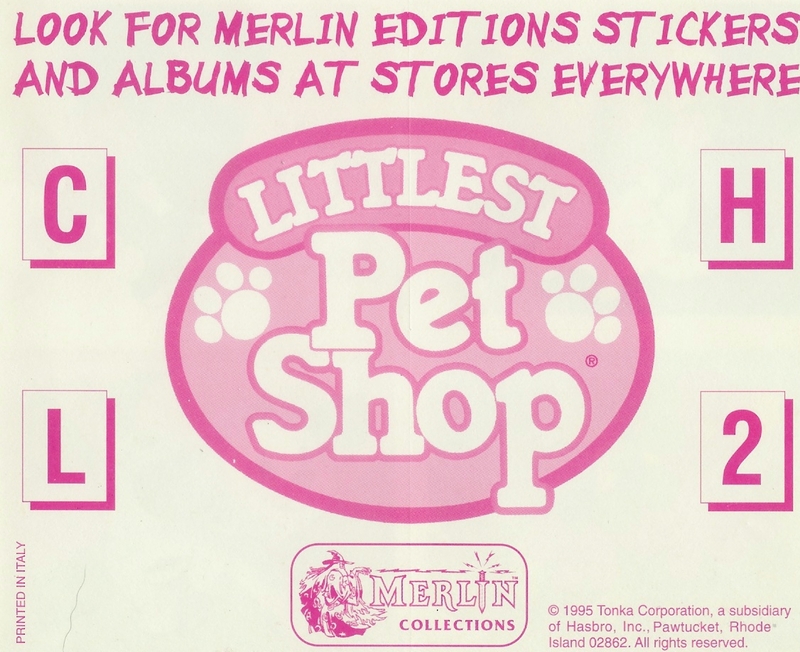 From 1992 to 1994, the backs of regular-release LPS boxes and cards had Paw Print Points printed on them (merchandise did not feature these points). 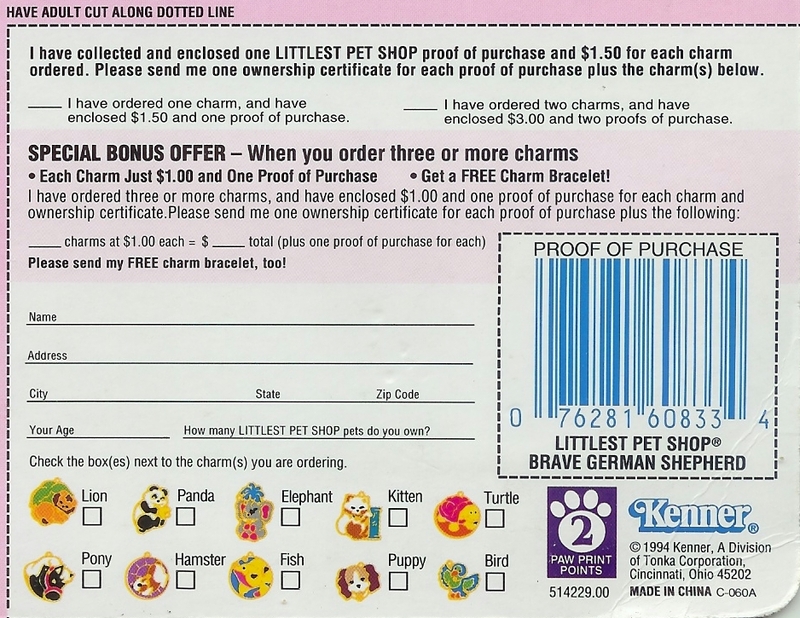 Points were used to acquire Mail Order Pets or Charms. 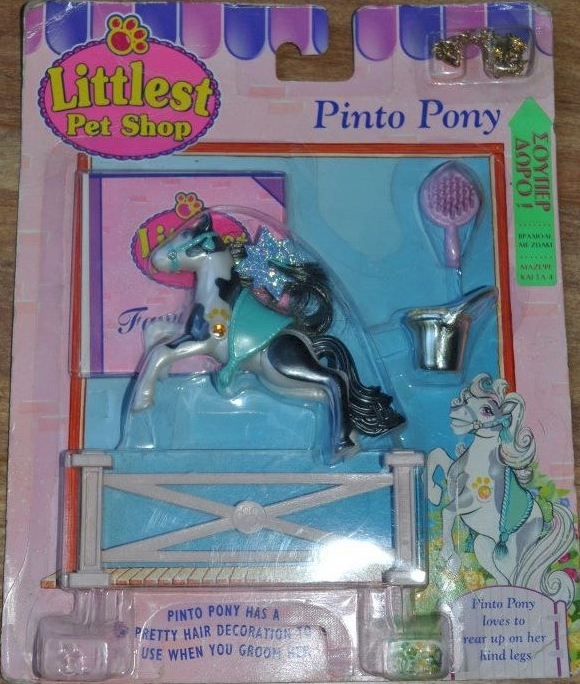 Congratulations on becoming the owner of a pet from the Littlest Pet Shop. 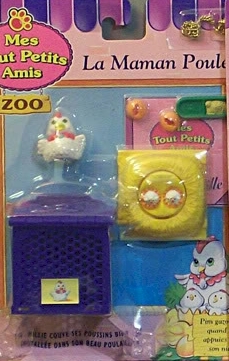 They really are the cutest, Littlest Pets you'll ever own! 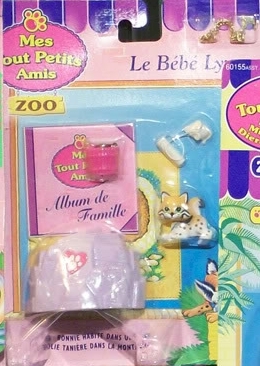 Now that you are the proud new owner of your pet, you can show it off to all your friends and family with this exclusive Littlest Pet Show Kit. 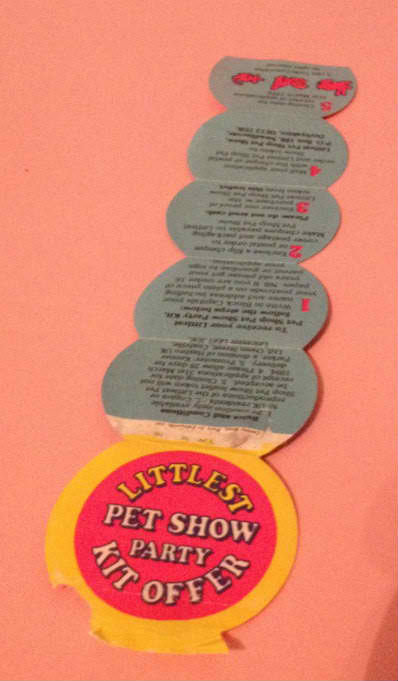 In the kit you will find everything you need to run a fantastic Pet Show for yourself and three of your friends! 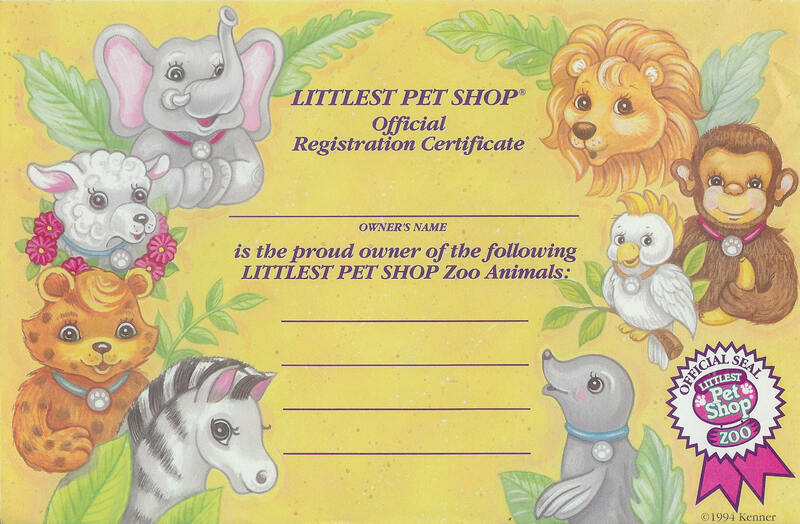 Colorful 5 1/2" x 8 1/2" certificate to write in your name and the names of your pets! 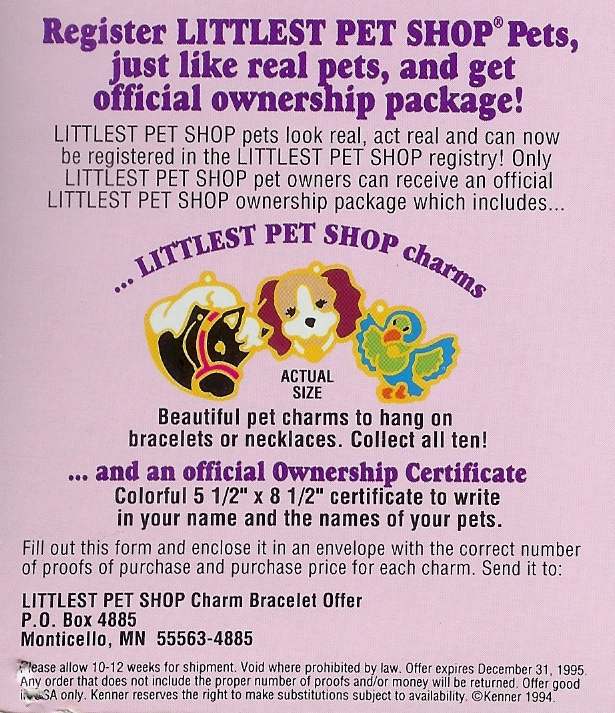 Beautiful pet charms to hang on bracelets or necklaces. 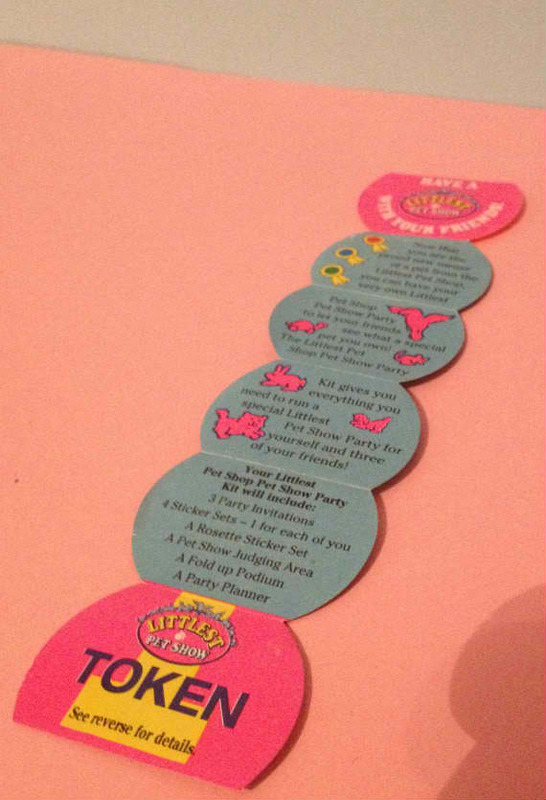 Collect all ten! 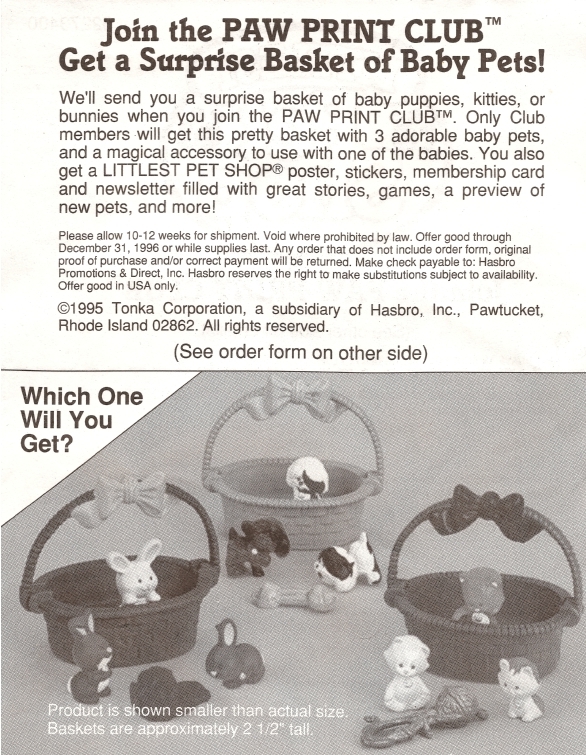 Get a Surprise Basket of Baby Pets! 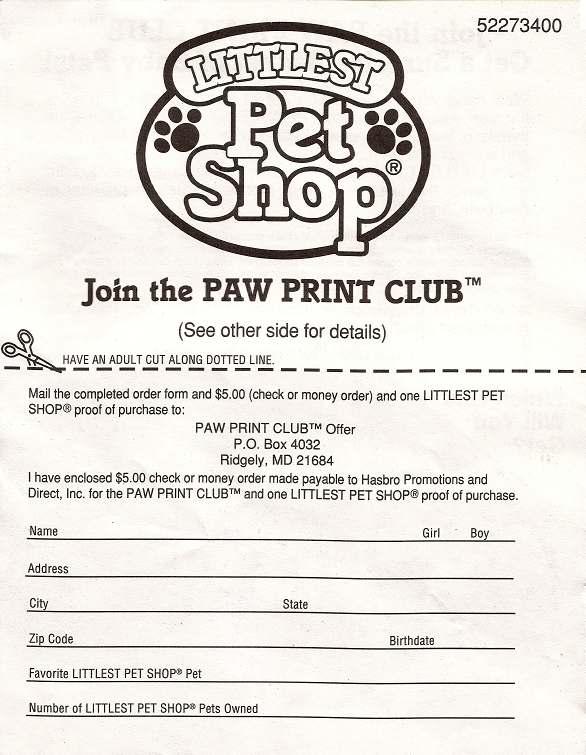 We'll send you a surprise basket of baby puppies, kitties, or bunnies when you join the Paw Print Club. 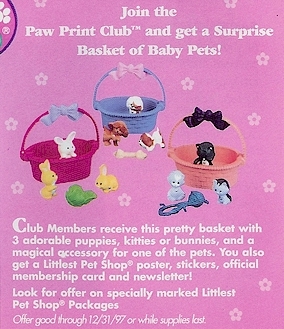 Only Club members will get this pretty basket with 3 adorable baby pets, and a magical accessory to use with one of the babies. 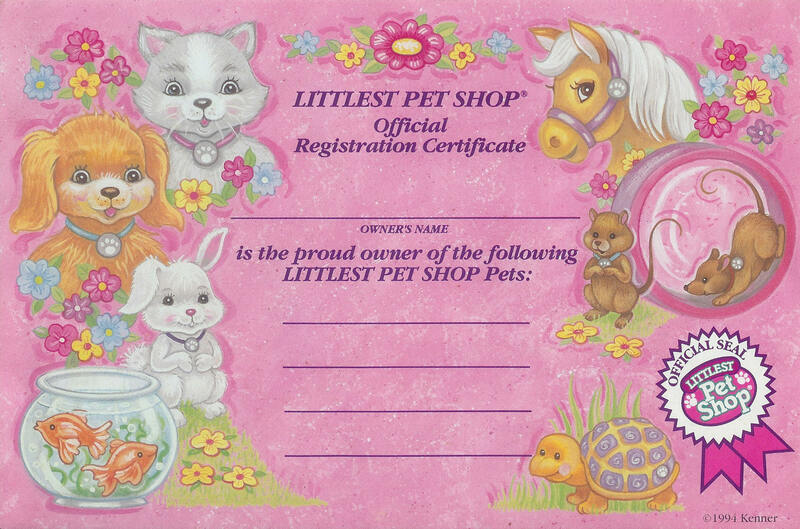 You also get a LITTLEST PET SHOP poster, stickers, membership card and newsletter filled with great stories, games, a preview of new pets, and more! 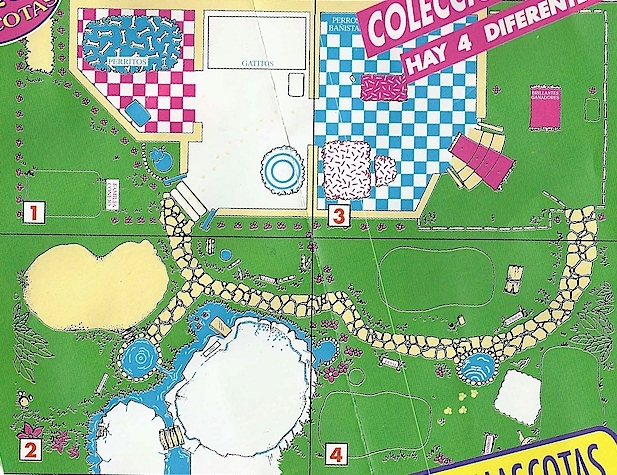 *Note: The colorations & poses for kittens 2) & 3) are switched in promotional photos. 3.375 in. x 2.125 in. 6 in. x 4.8125 in. 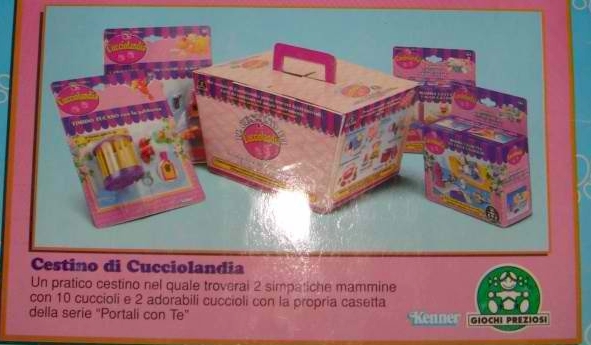 This bundle was released for Easter in Italy. 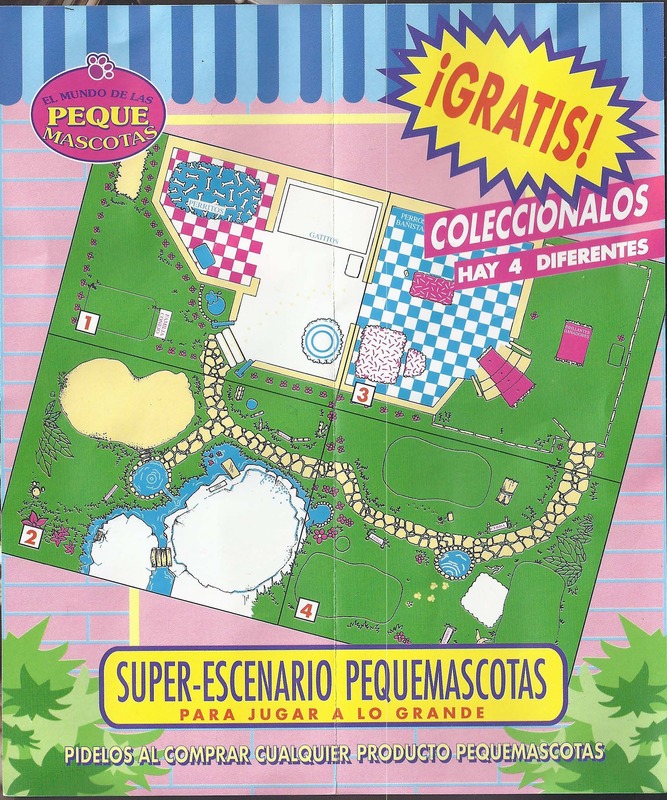 It was advertised on the back of the Italian LPS Sticker Album. 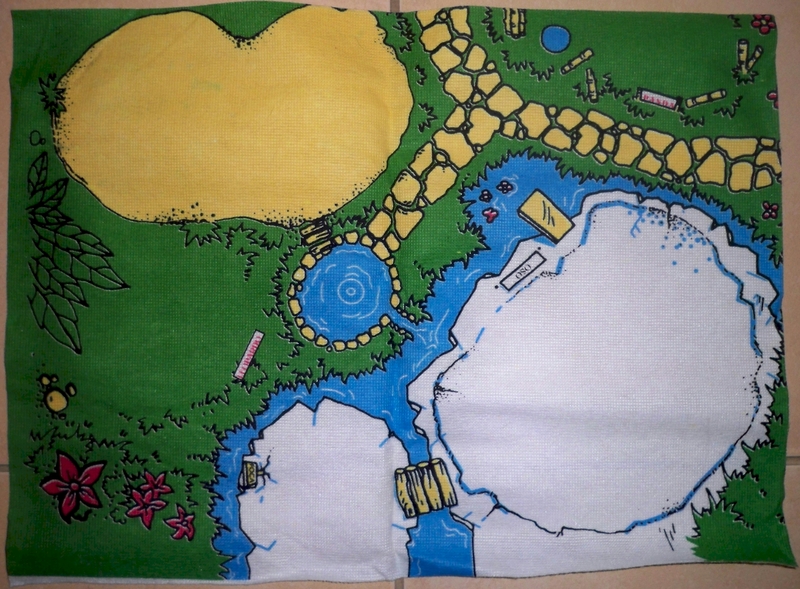 At the moment, I do not have any photos of the bundle, aside from the promo image. 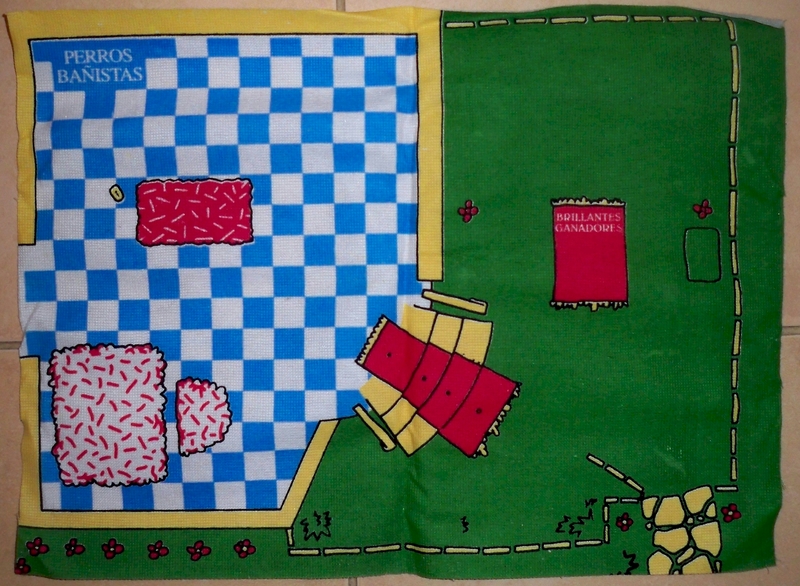 If you have more info or pictures pertaining to the Cestino di Cucciolandia, please contact me! 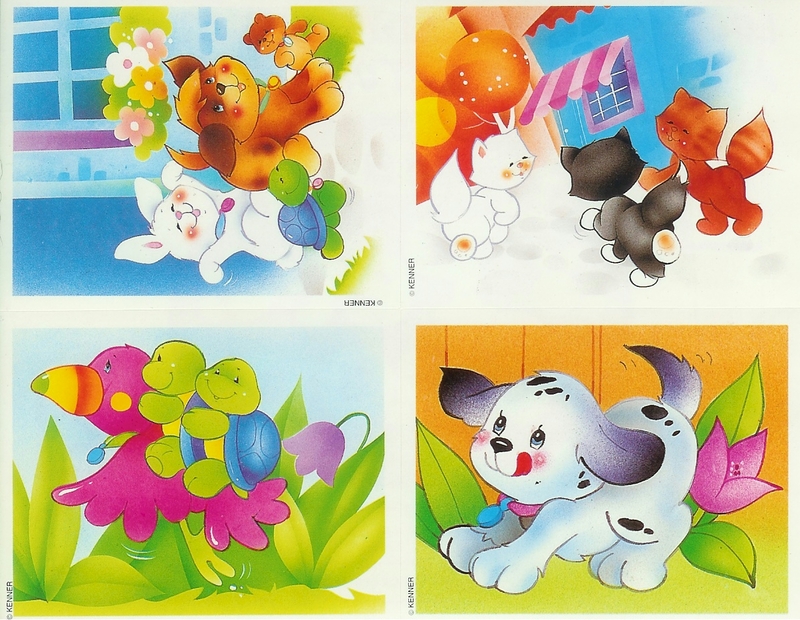 Un pratico cestino nel quale troveral 2 simpatiche mammine con 10 cuccioli e 2 adorabili cuccioli con la propria casetta della serie "Portali con Te". 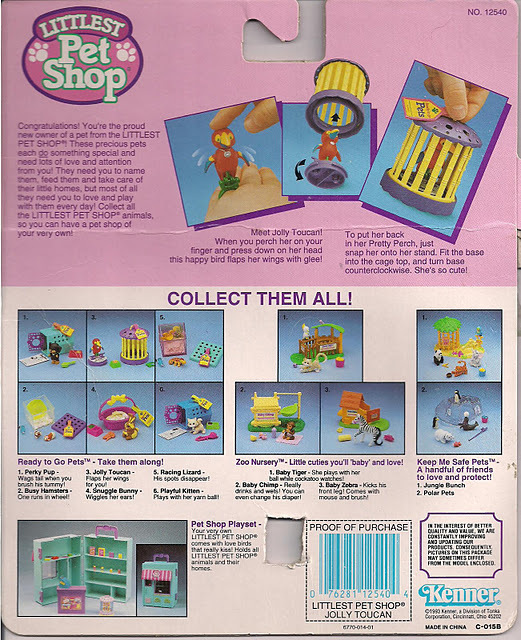 A practical basket containing 2 loveable mommies with 10 babies and 2 adorable pets with their own small houses from the 'Take With You' Assortment. 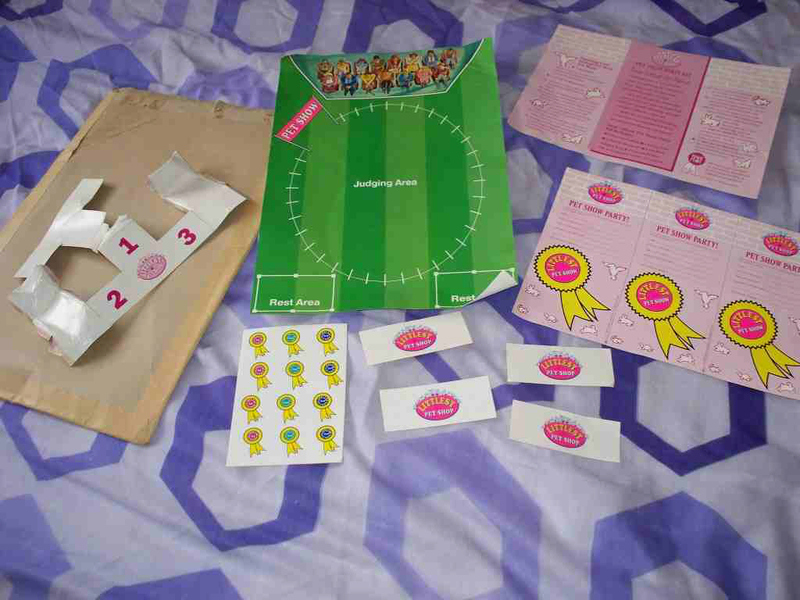 5 (Bonus) -Large cardboard "basket" containing the other four sets. 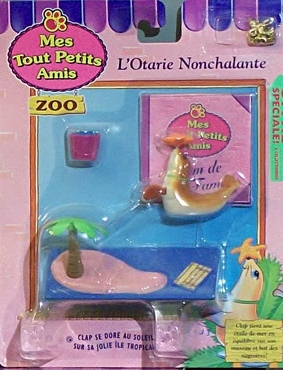 So far, it appears that gold charms & bracelets were included as bonus gifts with some French and Greek releases of the 1994 Play With Me Pets and 1994 Sparkling Ponies. 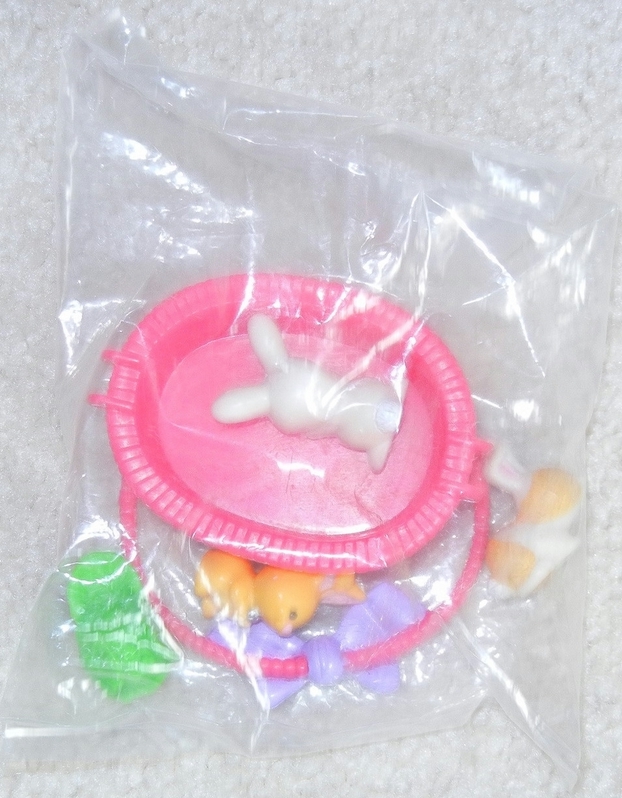 A single charm and bracelet was included in the bubble packaging in the upper right corner of these sets. 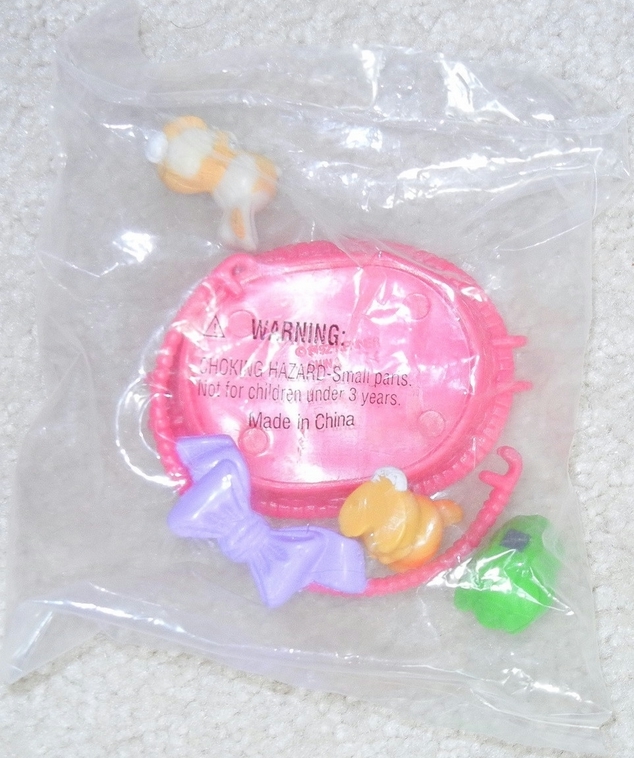 There doesn't seem to be a pattern for how each type of charm was distributed amongst the various sets. If you have any additional information on these charms or their international distribution, please contact me!